Radon systems are not all the same and you have a choice with Disaster Blaster. 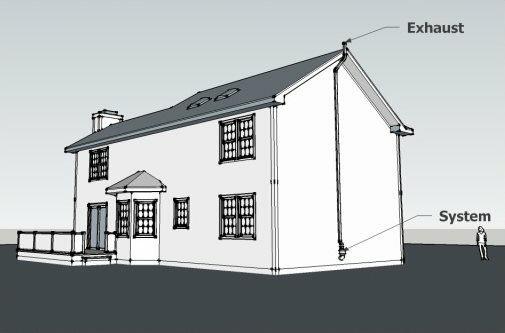 Computer renderings and system options are part of our services. We don't just install systems, we customize them to your home! From the beginning, Disaster Blaster has leveraged our extensive experience and industry knowledge to provide customers with unmatched expertise and choice. It was with this philosophy in mind that we decided to offer customers of our Radon Services not only a job done right, but a job with choices. In an effort to allow customers to choose a product that best serves their needs, we are proud to offer both a Basic package as well as our all-inclusive Elite package. Customers opting for our Basic package will get a single suction point and post testing by an independent licensed testing company. In many cases the Basic package is all that is required to mitigate the building of unacceptable radon levels. For our customers that prefer the peace of mind of knowing that the price of their system will never increase regardless of what additional work (such as additional suction points or additional testing)* may be required, our Elite package is for you. Have you ever struggled with a decision about work at your home because you wonder what it will look like when it's completed? With Disaster Blaster's Radon Services, you don't have to! 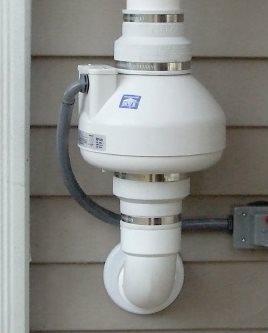 We can provide a computer rendering of YOUR HOME, showing what that Radon Mitigation System will look like when completed. 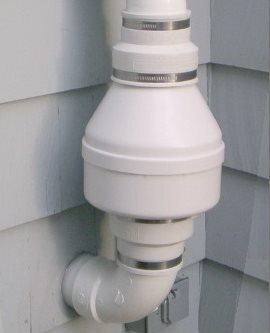 As every house is different, we have always strived to hide the Radon System as best as possible. 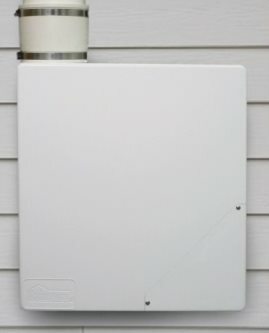 To that end, we have always offered custom painted exhaust pipes and fan casings to match the exterior of your home. 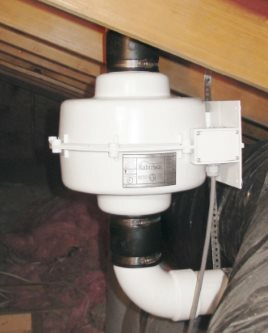 In this way the Radon Mitigation System is hidden as best as possible. *Elite Package is deemed effective, and our obligation met, once testing reports a Radon Level within acceptable Radon Levels (below 4.0 pCi/L).